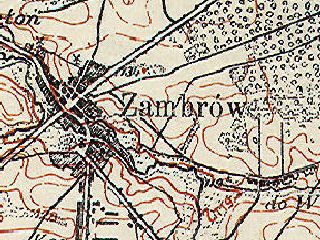 Zambrów is a small town of about 25,000 inhabitants in northeastern Poland. It is located at the crossroads of the routes from Warszawa to Białystok and from Łomza to Siedlce. Six former Jewish citizens of the town of Zambrów, Poland--landsleit--reminisce about their youth and family life in Zambrów before the advent and horrors of the Second World War. Choose among the Museum's various audiocasts to hear their stories. but the others will be made available at a date in the near future. To read short testimonies from a number of former Zembrovers, click here. To read from "Painting a Picture: Remembering the Lost Jewish Community of Zambrów, Poland," click here. To read the current English translation of the Zambrów Yizkor Book, please click here.